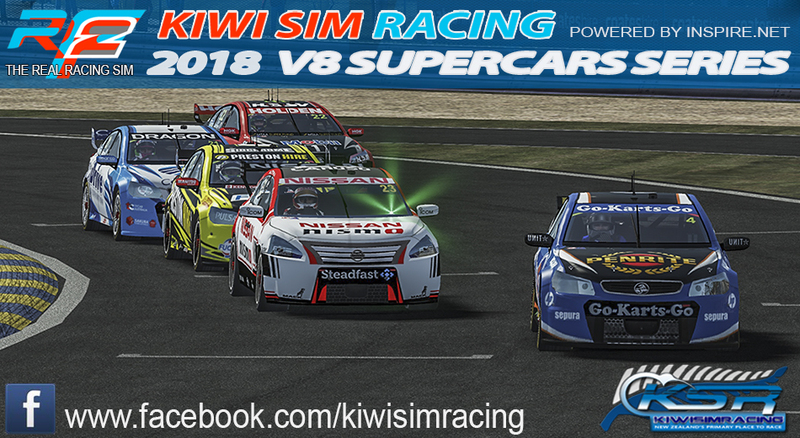 Round 4 of for our V8 Supercars Championship takes us up Queensland Raceway AKA "the paperclip". The mix of high and low speed corners and with only 2 left and 4 right this will be a challenge to get the ideal setup. 1x 32 laps (100km) feature race, one compulsory pit stop including mandatory 4x tyres changed, grids based off race 1 results with top 6 reversed. Looking forward to this one, great track! Before anyone freaks out - that 0:57 lap was a bit of an accident. I lost the car rather spectacularly coming out of the inside hairpin, which launched my car across the grass and ended up on the main straight ... somehow rF2 picked that up as a lap time! Which is really annoying because it also completely skews my delta timer during practice. Is there a way to remove this time from the server? You can set your delta time to be for the session instead. You can also remove times on liveracers, but you need to make an account and link it. Never done it myself. Oh good, mine's terrible. I've been focused on speed with the setup though, so hopefully I can wrangle some tyre-friendliness. Mine is still at Symmons Plains, car won't arrive until 8pm on the night. I've done this but when I try to mark the lap as invalid, it tells me that only Administrators can do this. Which version are we running tonight? Since rF2 was updated today. What a great nights racing!